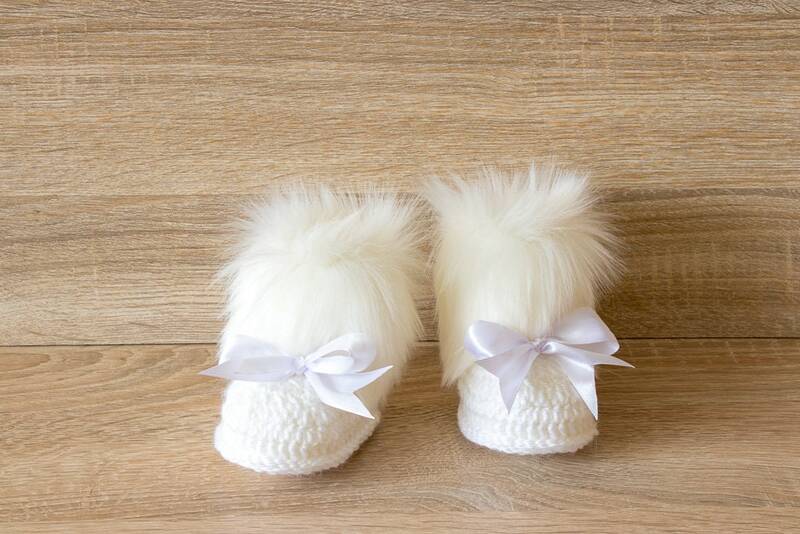 These crochet baby booties with white bows are the perfect accessory to any little baby's wardrobe. Double-soled for a more cushioned sturdy booty and nice fit. 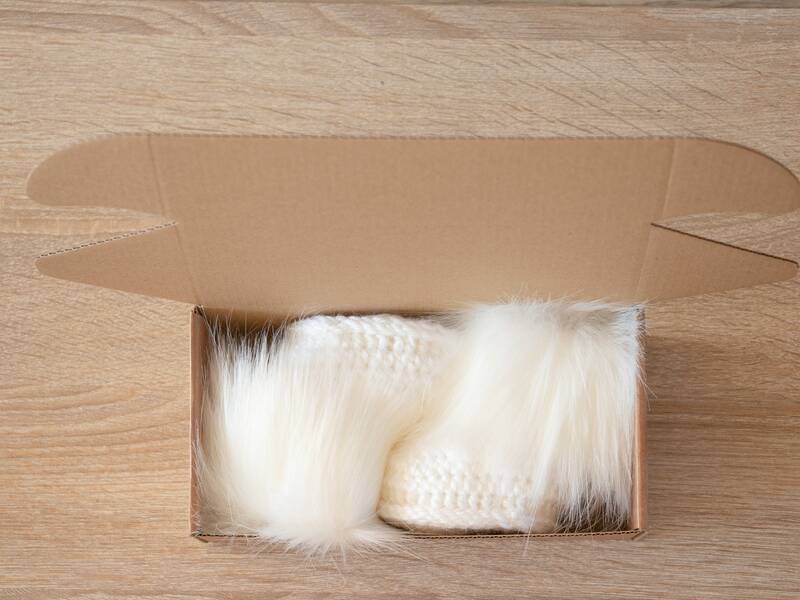 Soles may be covered with non-slip latex (beige) points that make slippers slip resistant. If you want with non-slip latex just leave a note at checkout. 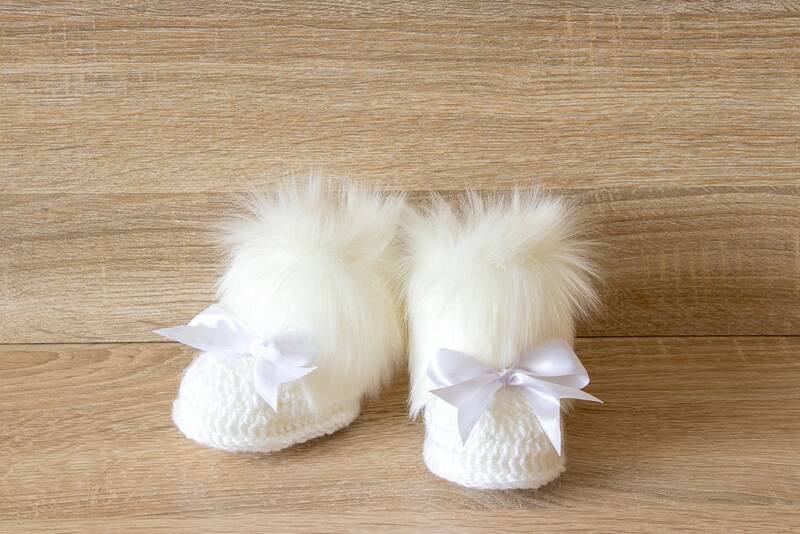 They are perfect for a shower gift or something special for your own little one. Sole length: 9 cm /3.5" approx. 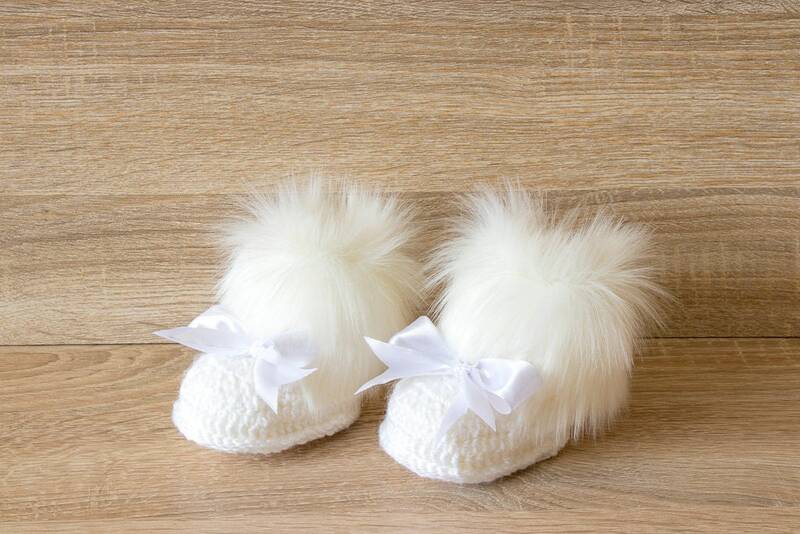 Sole length: 10 cm /4" approx. Sole length: 11,5 cm /4.5" approx. Sole length: 12,5 cm /5" approx. Sole length: 14 cm /5.5" approx. Comes packaged in a box. Sehr schön und rasche Lieferung ,sehr zu empfehlen! 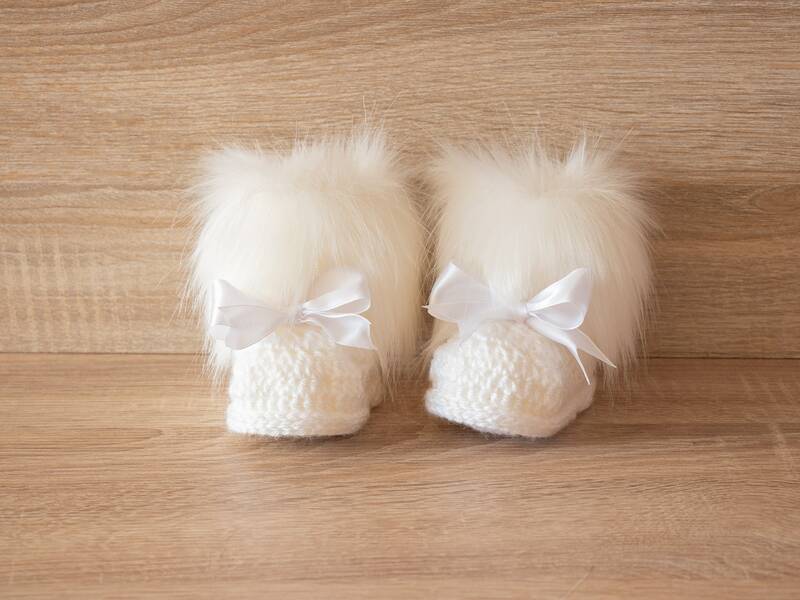 These booties are so beautiful!They are very fancy and very well made.I would totally recommend this shop!